“Schuhe aus bitte” is what the woman behind the counter of the Ritter Butzke says to me. Surprised I reply with: Excuse me? and she repeats in English “Could you please take off your shoes? I am still not sure what she means but when I see other people taking off their shoes I follow up her request and 10 minutes later I am dancing on the red carpet of the Ritter Butzke with my bare feet. 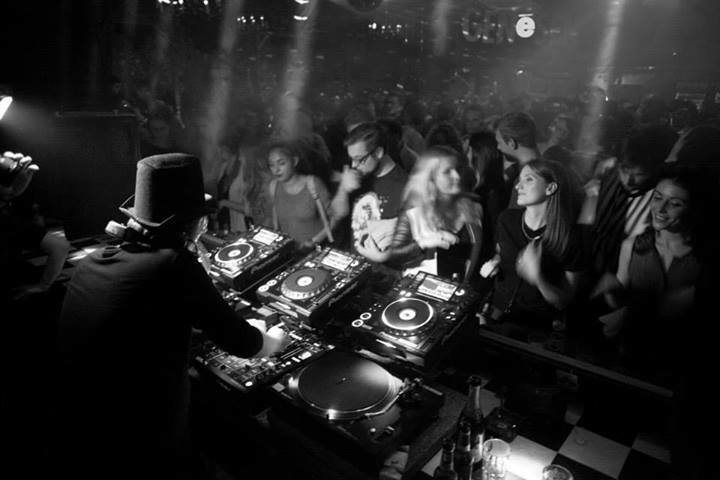 The situation above describes my first visit to the club Ritter Butzke in Berlin. Later I found out that the party was called Shoeless and that the Ritter Butzke is the kind of club who loves special parties like this. 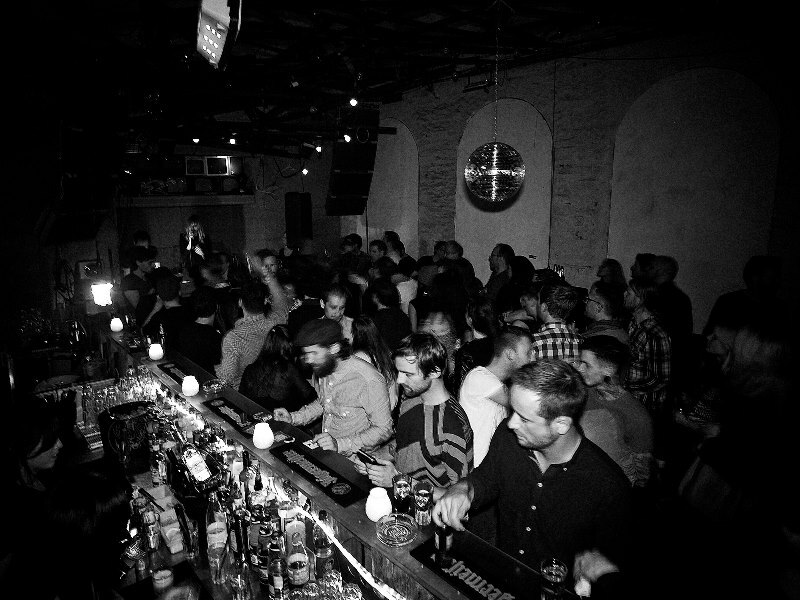 Besides Shoeless there are often similar initiatives in this club and partly therefore the Ritter Butzke fits perfectly in the nightlife of Berlin. Although the Ritter Butzke is a pretty famous club at the moment, it has not always been well-known in Berlin. It is February 2007 and it is the first time the name Ritter Butzke is being mentioned on the streets of Berlin. The Ritter Butzke was a real underground-club around that time and the parties were only attended by a select group of people. Because of a anonymous tip, the club dissapeared for a while and then a few years later, in October 2009, the Ritter Butzke was officially reopened. 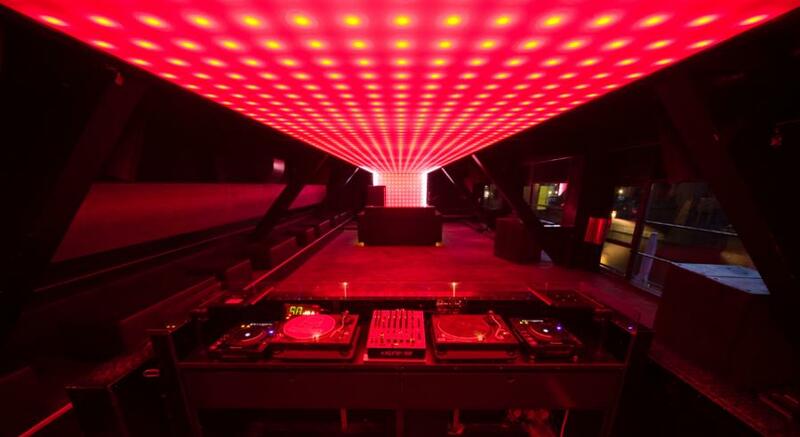 Since that day the club can not be called underground anymore: Every week many tourists and habitants of Berlin visit the Ritter Butzke for a great party-night. The fact that the Ritter Butzke is so populair at the moment has to do with several things: First of all there is the great setting of the club. The Ritter Butzke looks very homely (one of the floors is called The Living Room). Especially when you are not from Berlin, you will love the style of this club. Besides the setting the Ritter Butzke also offers a very qualitative line-up. Although this always has to do with taste, I think we can agree that artists like Oliver Koletzki, Alle Farben, Niconé and Tiefschwarz are quite qualitative if you only pay 10-15€ entrance. In my monthly party-calender you can read more about the monthly events in Berlin, Ritter Butzke is often mentioned in these calenders. The prices in the Ritter Butzke can be called reasonable: A Beer can be bought for 3 Euro (Pilsner Urquell) and shots are available starting at 2,50€. The entrance differs between 10 and 15 Euro and personally I think this club does not have a very difficult door-policy (compared to other clubs at least). But I read on the internet that some people do have problems to get into the Ritter Butzke: My personal tip is to arrive early (00.30) and to make sure you do not arrive with a large group. Bouncers in Berlin do not like large groups and also do not like a lot of guys. As mentioned, the Ritter Butzke is located in the bezirk Kreuzberg. From Alexanderplatz you can take the U8 and get out at station Moritzplatz, then you just have to walk for another 5 minutes and you will reach the club. (Walk via the Oranienstraße to the Lobeckstraße and find the Ritter Butzke there). At the end of this article you can find extra information and a map of Berlin. The Ritter Butzke is defenitely worth a visit for tourists and habitants of Berlin. If you are really looking for the underground-scene of Berlin, you will not find it in the Ritter Butzke (anymore).But still the line-up and atmosphere are great and you can have a great party here. In the summer it is even better to visit the Ritter Butzke, because you can also enjoy the outside-area of the club. When you want to read more about the events in the Ritter Butzke you can have a look at their website or facebook. If you want to get an impression of the music or want to get in the right mood for a saturday-night, you can also check out the Soundcloud of Ritter Butzke.